#224 - The kids are out! This family is on a stroll just outside a park. The kids seem to enjoy the walk, a great way to bond with the family. 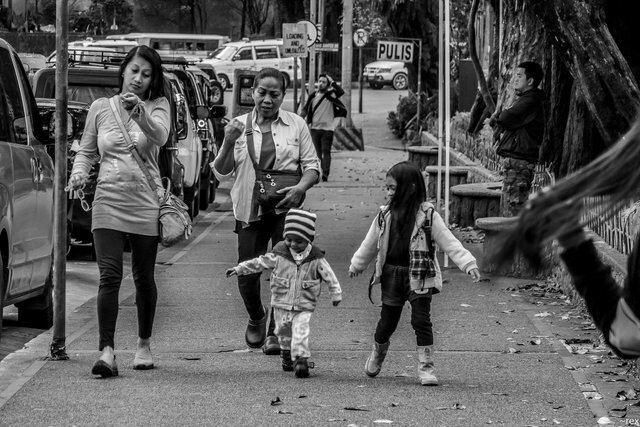 Shot in Burnham Park Baguio City. Live photo. Children are always direct, it's interesting to watch them. Thank you for a great photo. @allmonitors, Most beautiful aspect is, smiles on everyone's faces because smile spreads the positive and healthy environment around us. @allmonitors I'm always a big fan of your. You made more than 9500 comments. Your next target is to reach 10000 comments.